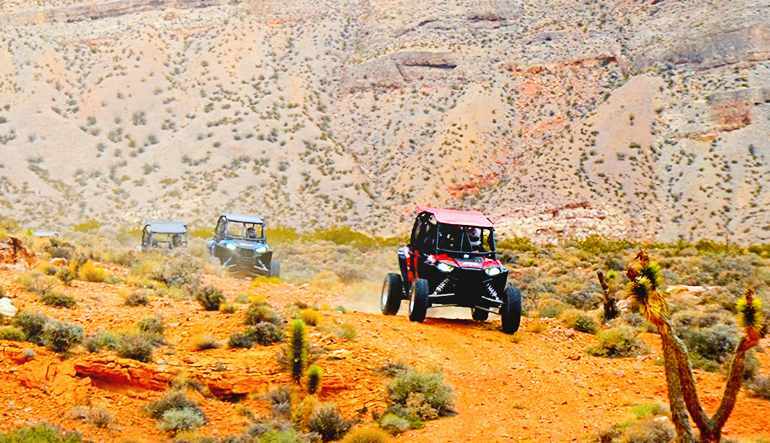 Minutes out from the Strip, Vegas’s true wild side calls to you—take a Las Vegas UTV tour in the Mojave Desert! Here in the Mojave Desert, you won’t find the towering structures and neon lights that put Sin City on the map. You’ll find something else, something more: absolute freedom! 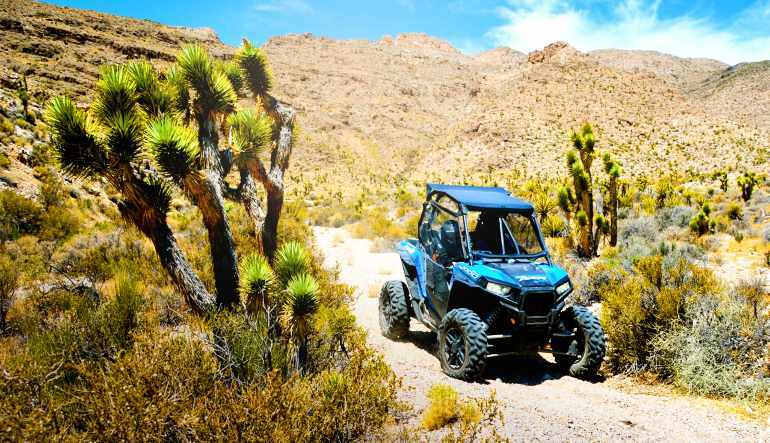 Minutes out from the Strip, Vegas’s true wild side calls to you—take a Las Vegas UTV tour in the Mojave Desert! On this desert UTV tour, you’ll be equipped with a Polaris RZR XP 1000, one of the most prized side-by-sides on the market. Its 999cc engine boasts an incredible 110 hp while its needle shocks let you rip trails, climb rocks, go anywhere! 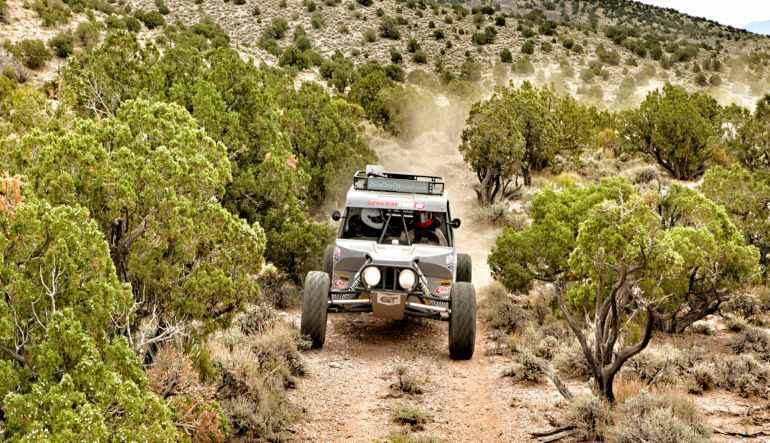 Take a 3-hour Las Vegas UTV Tour in the Mojave Desert! Start the trip with a brief training session—no UTV experience required! Ride a Polaris RXR XP 1000 from 2016 or later. Travel with a knowledgeable guide who will take you to the desert’s most exciting spots. Be awed by geological formations that date back millions of years. Stay in contact with your guide and group via radio headsets. Enjoy it all just minutes from the Las Vegas Strip! Be awed by stunning natural rock formats, conquer sandy stretches and traverse some of the most rugged desert trails imaginable. Book your Las Vegas UTV tour today!